 Our driver will pick you in Fes at the agreed meeting place to begin your 3 day adventure tour to the Sahara Desert which finishes in the ancient Medina of Marrakech. The journey south takes us through some amazing landscapes; from the alpine towns of Ifrane and Azrou, to the cedar forests where the Barbary monkeys live and through mountain passes and oases, gorges and plateaus. We will drive down to the city of Mideltwhere we will stop for lunch. Continuing south through the pass of Tizi n’Talghemt, the mighty Ziz Valley will be on our right side all the way to the desert with its thousands of palm trees, adobe kasbahs and villages. As we reach Errachidia, you will see the changes that reveal the approaching desert. We will pass through Erfoud and Rissani and finally reach Merzouga with the golden dunes of Erg Chebbi. A welcome glass of mint tea will be waiting for you as the camels are prepared to take you for a ride off to the distant dunes and your Nomad camp. 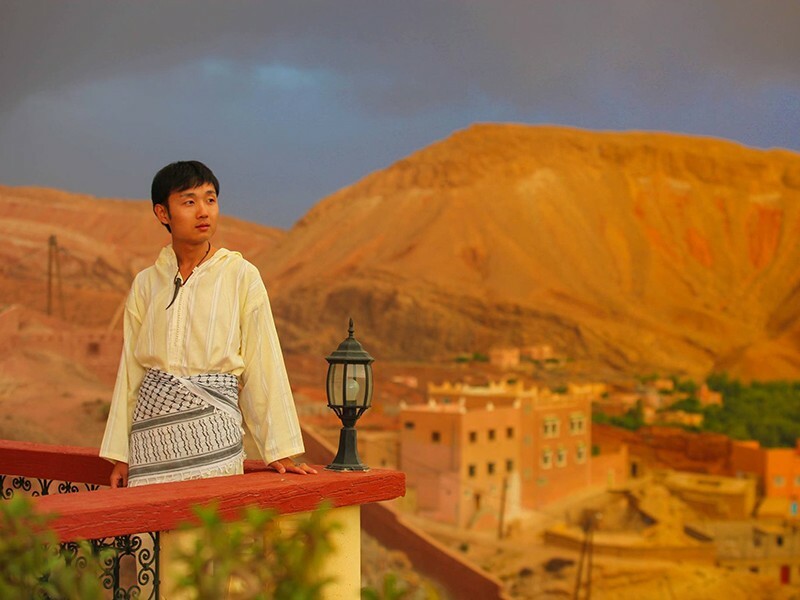 You will spend the night under the blanket of stars, a Berber evening with home-cooked food, music and laughter. You will be woken early in the morning so you can experience the beauty of a desert sunrise and the amazing silence of the Sahara. You will then ride your camel back to your accommodation where breakfast will be waiting and a hot shower to freshen you up for the day´s adventure. This is a wonderful time to experience the silence and the changing colours as the sun rises on the dunes. We will pack up and leave the Desert as we drive to Tinghir and the impressive gorges. Todgha Gorge is 300 metres of vertical rock, one of the narrowest in all of Morocco; it is a favourite spot for hikers and climbers who come from all over the world. We will have our lunch break here so you have time to enjoy it.After lunch, we will continue our journey along the Dades Valley, from there we will drive up into the Dades Gorge; this is a unique place where the rock formations look like fat monkey fingers and where rose coloured ancient kasbahs look like majestic sand castles. We will spend the night in a hotel in the heart of this amazing location. After a breakfast with typical local homemade breads, we leave this gorge of crazy rocks and continue along the Dades Valley to reach Kelaat M´gouna, the city of Roses, where we will make a stop so you can see the products that are made from the precious Damascus Roses that grow in these valleys. Then, on to Ouarzazate; the Hollywood of Africa. After lunch, we will go to visit the famous Ait Benhaddou, location of so many blockbuster movies and UNESCO world heritage site. 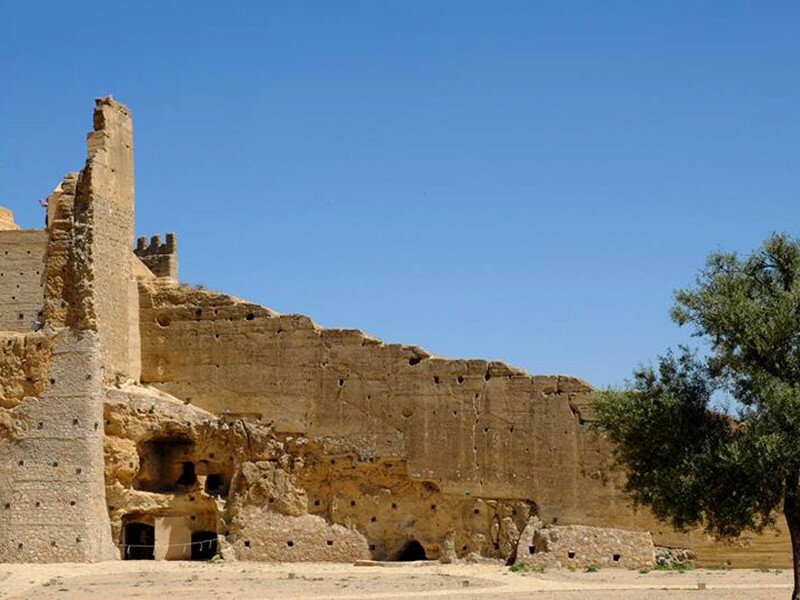 This fortress Kasbah is one of the largest in all Morocco. We continue our tour and start the journey up through the High Atlas Mountains, crossing the highest drivable pass at Tizi n´Tichka which stands at 2260 metres of altitude. The road winds its way down, passing Berber villages and farmland, orchards and rivers until we reach the plains below and the Medina of Marrakech. Please Note: If this itinerary isn´t quite what you are looking for, just send us an email and we can work together to plan a program to better suit your requirements. Accommodation prices are subject to seasonal changes.